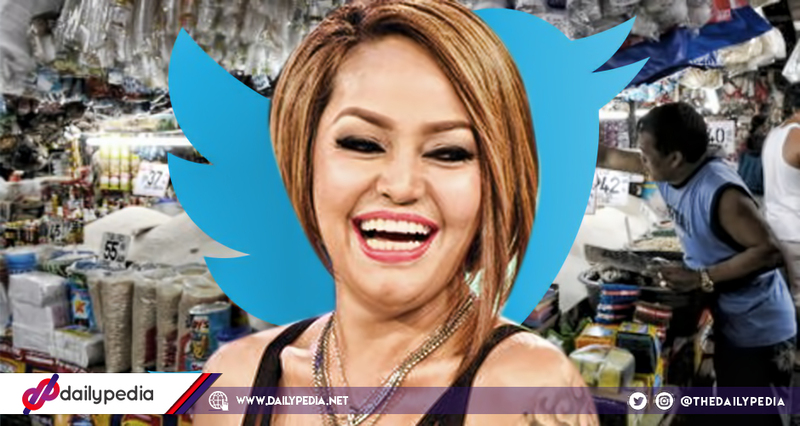 Comedienne Ethel Booba shared her thoughts about the increasing price of rice in the country. She clarified her side and answered concerns of netizens regarding her initial tweet. Inflation has been one of the main concerns of the country recently. 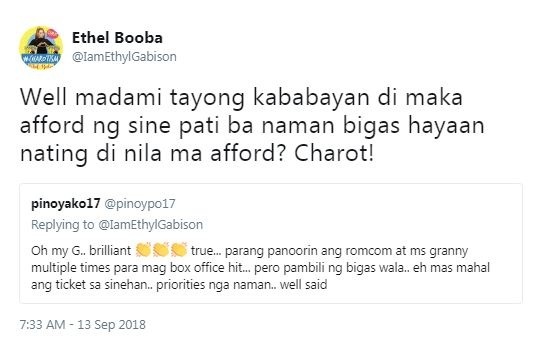 Comedienne Ethel Booba has always been someone that doesn’t hold back when it comes to issues, be it showbiz or politics. 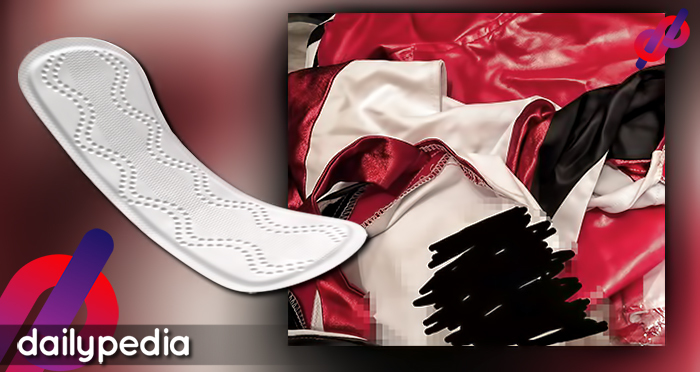 In a recent tweet, she joked about the rapid increase in the price of basic necessities. She stated that people often complain about the price of rice but have no problem with spending for their vices in life. Mahal make up wala angal. 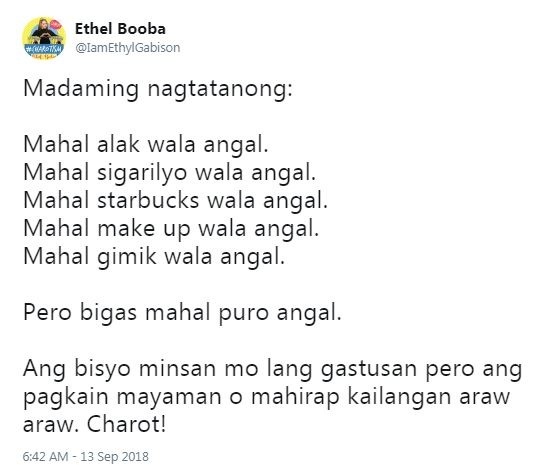 Pero bigas mahal puro angal. Ang bisyo minsan mo lang gastusan pero ang pagkain mayaman o mahirap kailangan araw araw. Charot! 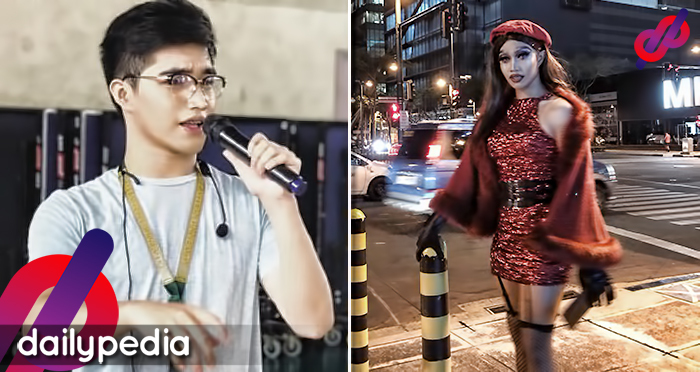 The tweet earned various reactions from netizens. A Twitter user said that some even have money to watch movies but don’t have the budget to buy rice. Well madami tayong kababayan di maka afford ng sine pati ba naman bigas hayaan nating di nila ma afford? Charot! @acmiguel09 pointed out what it was in Ethel’s tweet that he didn’t agree with. The latter explained that sometimes people complain not just for themselves but for others as well. Madami tayong kababayan na mahirap. Wala na nga silang lifestyle kung tutuusin eh. Kapag nagreklamo ang iba sa taas presyo di ibig sabihin para lang sa sarili nila kundi para din sa kapwa nila na tunay na apektado. Charot! A twitter user accused Ethel of suddenly riding on current issues. She shot back that she has been tweeting about timely topics a long time ago. Matagal na ako sumasakay sa issue eto lang nakarating siguro sayo. Our kababayan suggested to support the agricultural sector kaso some officials wants us to import rice from Sabah or legalize the rice smuggling. At the end of the day their decisions pa din ang masusunod. Charot! @lamat_ni_Lagas suggested to just think of the rice price hike as a help to the local farmers. 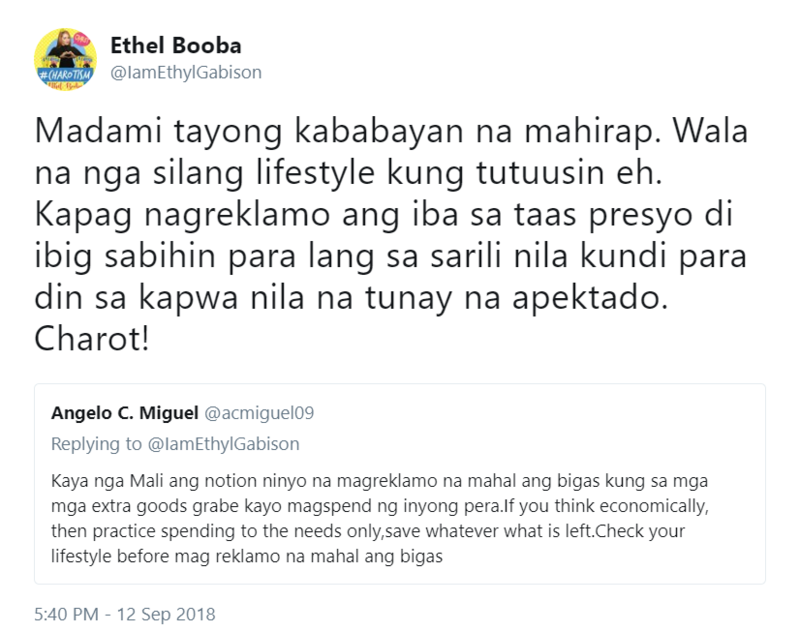 Ethel countered by asking the netizen if he was serious about his tweet. Imported from Vietnam sunod tulong sa local farmers? 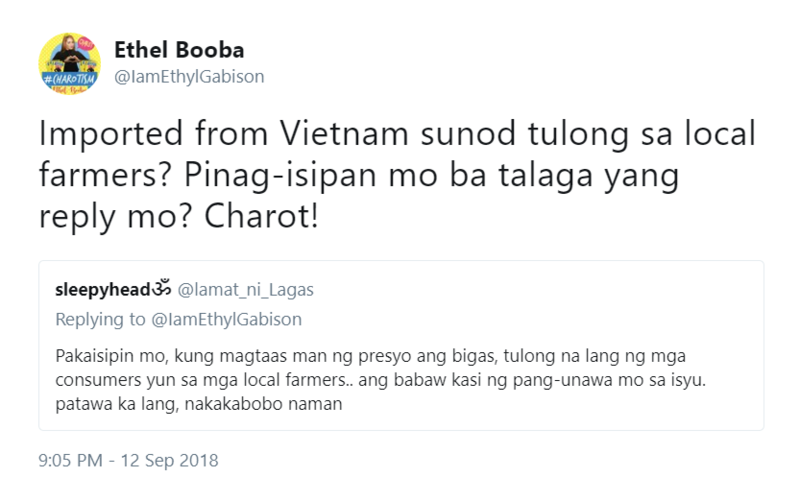 Pinag-isipan mo ba talaga yang reply mo? Charot! 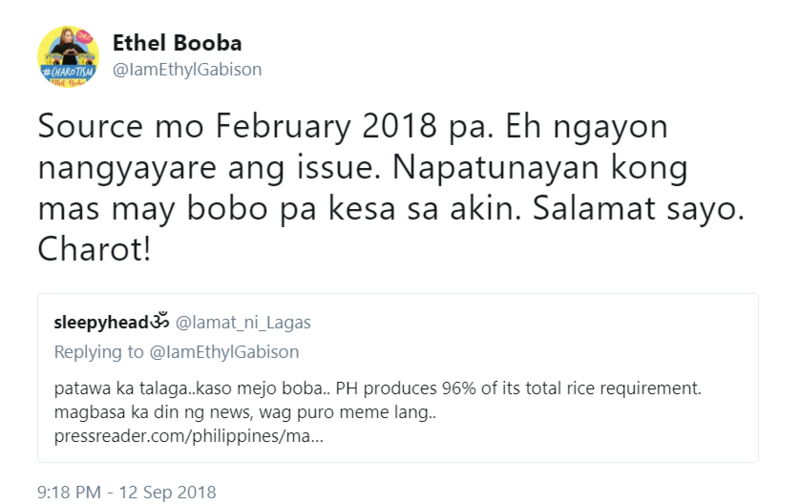 The netizen rebutted with an article saying that 96% of the country’s rice is produced by local farmers, however, the said article was written in February 2018. Source mo February 2018 pa. Eh ngayon nangyayare ang issue. 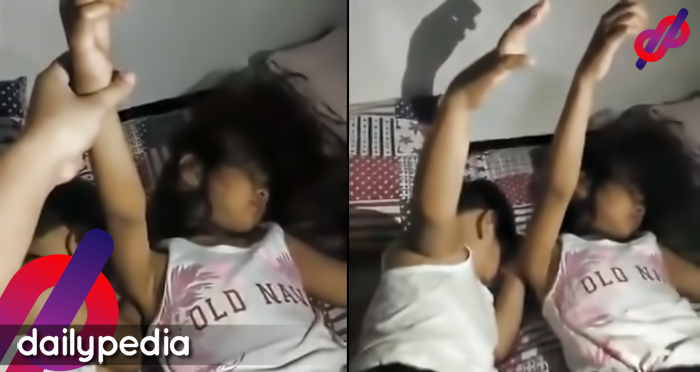 Napatunayan kong mas may bobo pa kesa sa akin. Salamat sayo. Charot! 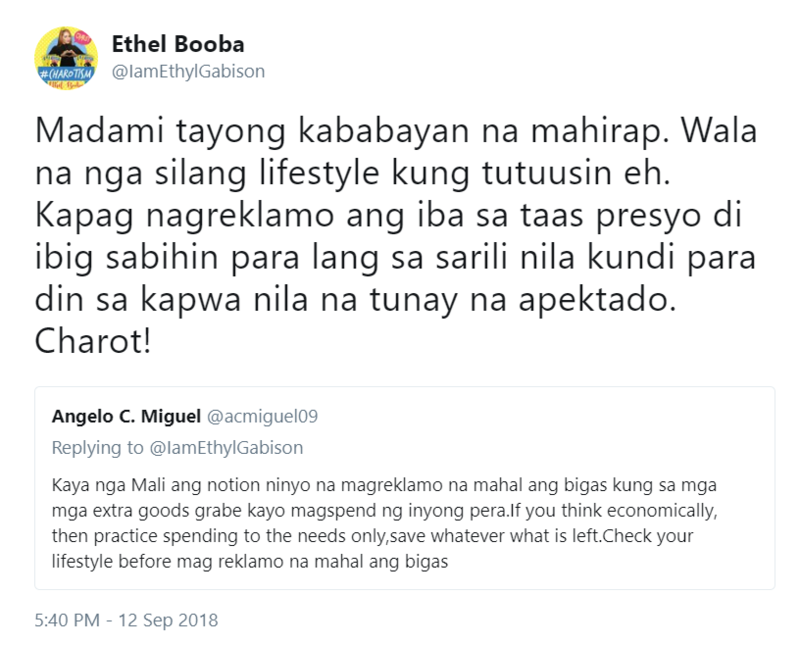 Ethel followed up with a tweet that slammed all the people who attacked her initial tweet. Ang daming attack dog bigla na umaatake pero mahina naman sa reading comprehension. Charot!